Intel Ivy Bridge to overclock worse than Sandy Bridge? Nordic Hardware published a picture of the Intel Core i7-3770K "Ivy Bridge" processor's retail box. 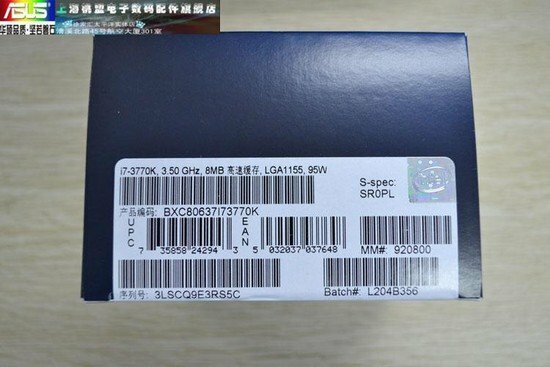 The product label reveals the chip has a TDP of 95W, which is higher than expected. Additionally, the site also heard that Ivy Bridge's overclocking capabilities are lower than anticipated. Ivy Bridge reportedly overclocks less high than Sandy Bridge, and the chip tends to hit over 90 degrees when overclocking, despite high-end after-market cooling. At 4.6 - 4.7 Ghz the temperature gets so high the processor throttles, meaning it clocks down to protect the processor from permanent damage. Comparing with Core i7-2600k that in many cases can do 4.8 - 5.0 GHz stable with a good after-market cooler, Ivy Bridge looks to be 200 - 300 Mhz worse than Sandy Bridge. A European retail NordicHardware has been in contact with can confirm that all boxes are marked 95W, which was higher than expected. However we reserve the right that there may be a misprint on a larger batch of processors, but as of now we can't confirm wether that's the case or not. Even if performance is better at the same frequency it is a surprise for those with high clocked Sandy Bridge processors intending to switch for Ivy Bridge.